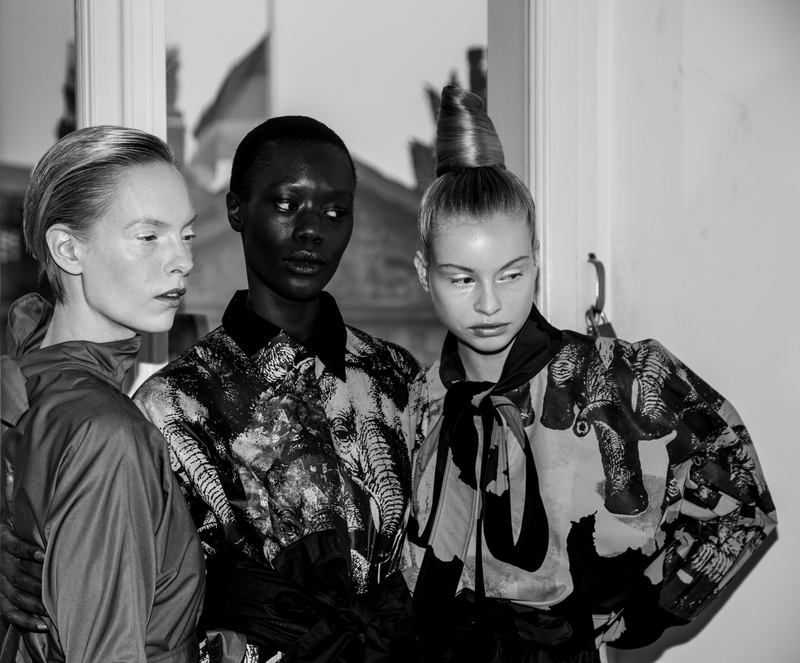 A very exciting and rather atypical presentation at the Berliner Salon during Fashion Week Berlin was the cooperation of a contemporary art gallery and the over one year ago founded Kollektiv Ignaz. 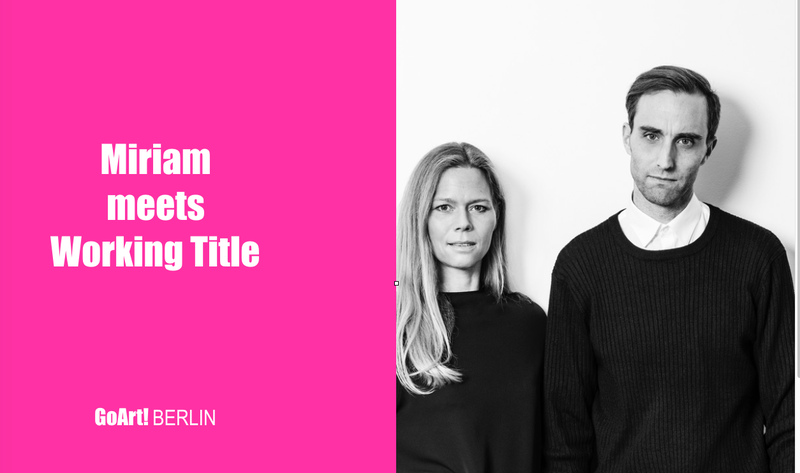 König Souvenir had been launched in 2017 and is a young product line of the successful Galerie König that recently opened a dependency in London. König Souvenir creates editions like shirts, hoodies, beach towels and further accessories, whose prints refer to artists’ works being shown in the gallery and furthermore focuses on socially and politically relevant topics that define our everyday life. For example, there are leggings with a print of a work by Claudia Comte or the Guilt Cap by Monica Bonvicini but also a EUnify Hoodie calling for critical commitment to the European project. 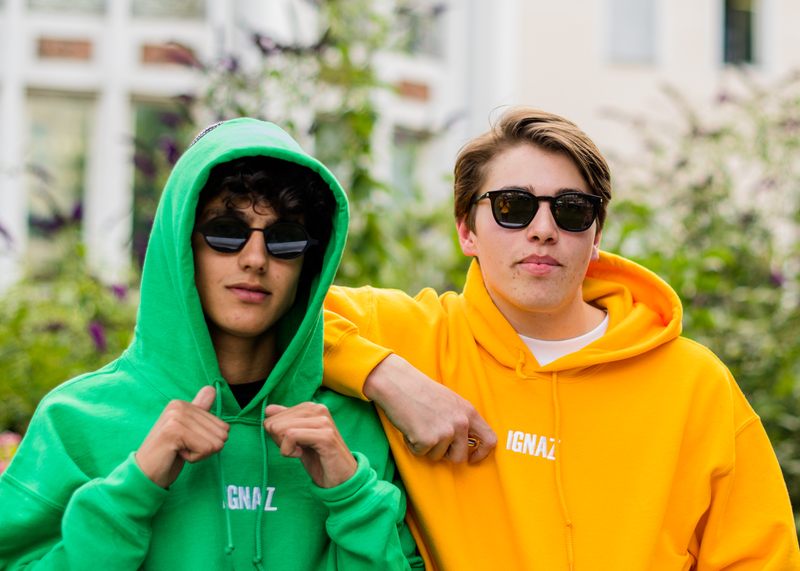 Kollektiv Ignaz lives in Frankfurt cutting a dash with music, design and photography related events, also in cooperation with the Museum of Applied Arts. Stated goal of the triple is arousing interest of young and creative peers currently graduating from school being less text-heavy than their predecessors. 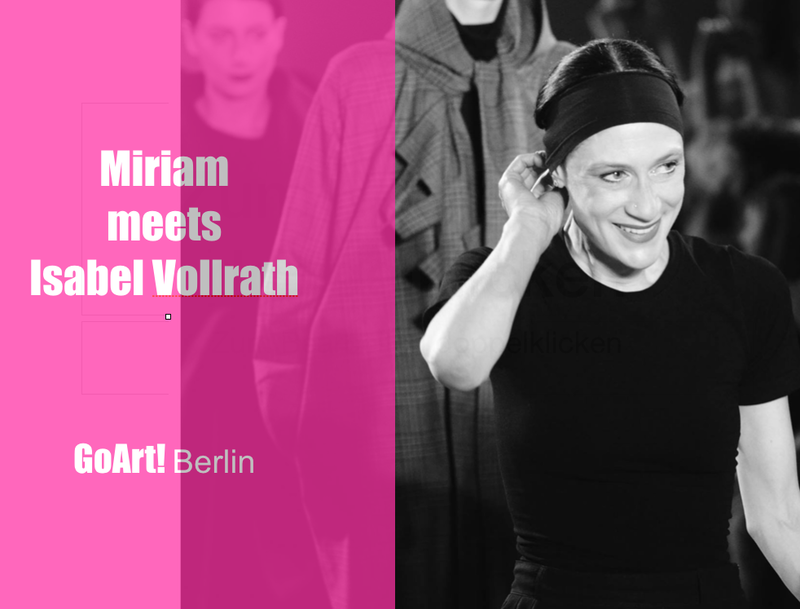 Miriam Bers spoke with the protagonists during Fashion Week Berlin. MB: Why founding the group, what moves you? KI: Our group is based on friendship. We are friends for years now and have lived out our own creative ideas. At a certain point we began exchanging projects and became a team. Above all, we want to express our own creativity using the collective as a platform. MB: König Souvenir, why collaborating with the collective during Fashion Week Berlin? KS: We have been known Ignaz for a while and took notice of them through their creative projects. When the anti-Semitic attacks happened we were in a close dialogue with each other setting an example for tolerance and against hate while developing the Solidarity Hoodie together. 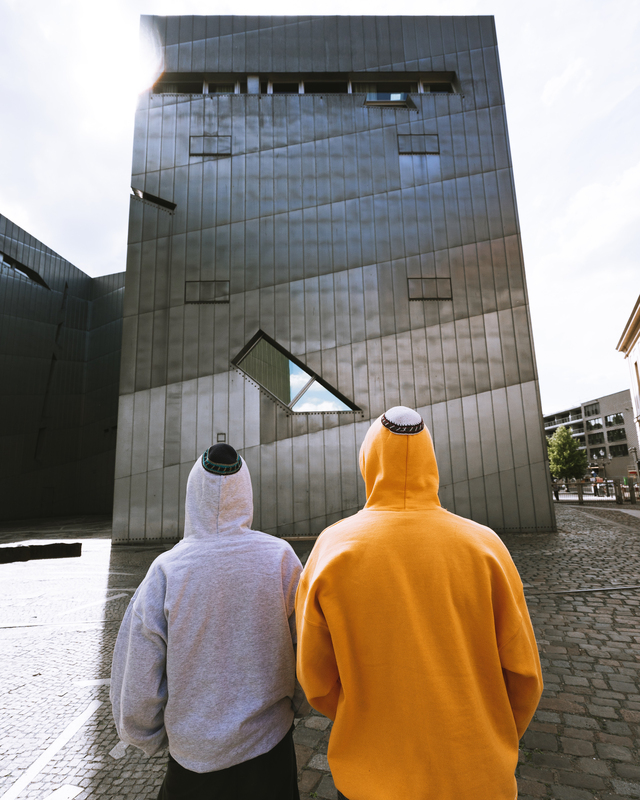 MB: The Solidarity Hoodie is a brilliant idea: A kippah stitched on a hoodie. In this way, you create a political lifestyle–product representing different minorities. 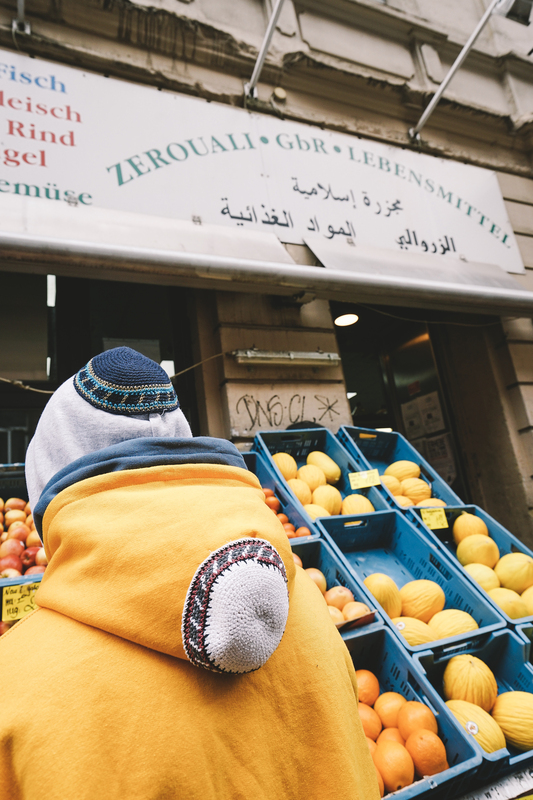 The kippah as a Jewish symbol, the hoodie once synonym for marginalized groups, later popular in the hip hop scene and nowadays indispensable. Sometimes also connected to anonymity and denial. MB: Where did the idea come from? KI: The hoodie does not play a certain role. We all come from a generation where an outfit is not about its past but about its look and coolness. Both, attacks against the Jewish as well as against other religions unfortunately still happen too often in Germany. We are sick of the press and the society discussing religious details over and over again when the general free practice of religion is just not possible. MB: Who is your target audience? KI: There is no specific target group. 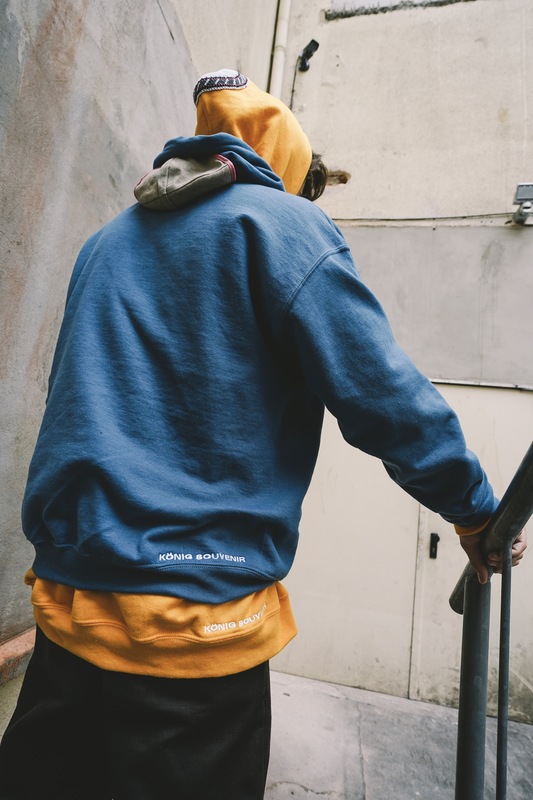 Everybody who is for the freedom of religions and wants to stand up for people being religiously discriminated is invited to wear this hoodie. MB: The hoodie is an edition of? KS: The hoodie is an edition of 500 and currently available in the colors black, blue, yellow, grey and green. MB: How does it feel to be represented together with König Souvenir at Berliner Salon during Fashion Week Berlin? How is the reaction to the Solidarity Hoodie? KI: Of course it is a great honor and a huge opportunity to collaborate with König Souvenir. Even before the cooperation we were big fans of them. KS: The Berliner Salon during Fashion Week was the perfect platform to show the Solidarity Hoodie. We received a throughout positive echo and even requests from the US. KI: Within the last months, we have fully dedicated ourselves to this project. But of course we will carry on soon. MB: König Souvenir, which will be your next highlight? KS: We have currently two new shirts in store created on the occasion of the exhibition by Andreas Mühe presenting his new works „Prora Sport“ and „Totilas I“. 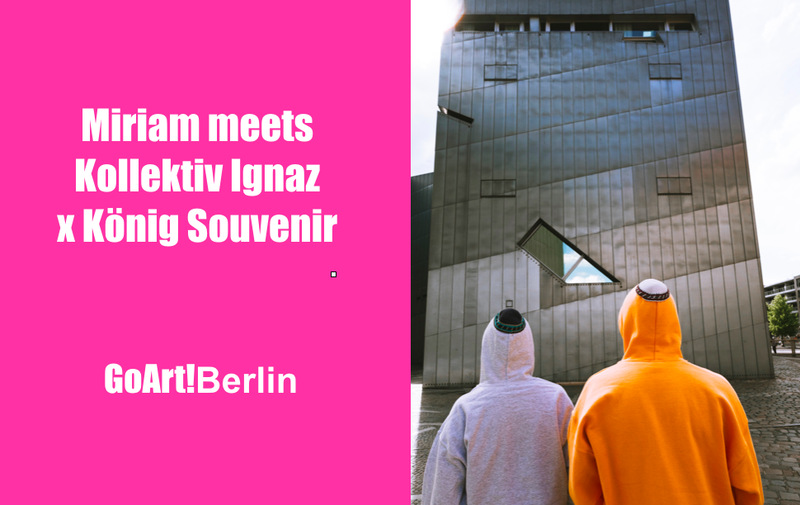 Furthermore, there are other collaborations being planned which of course will be surprises and available in our online shop Koenig-souvenir.com as well as in the gallery here in Berlin. 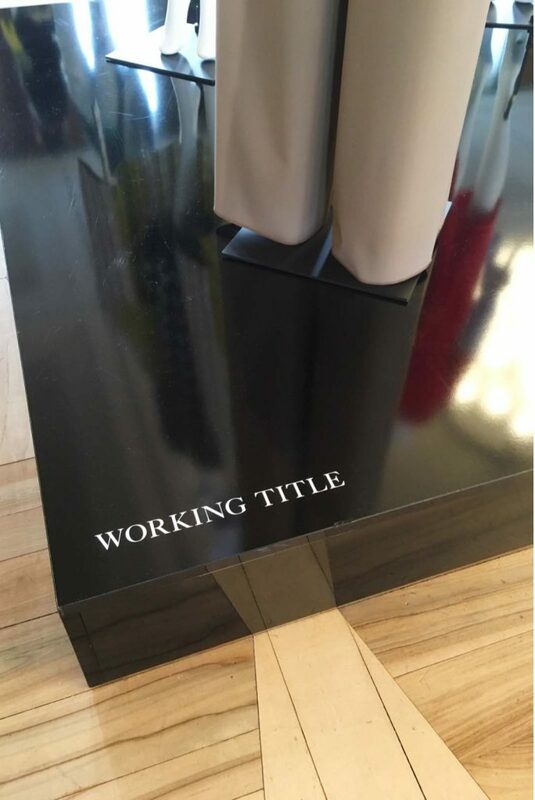 The designers of the brand-new label Working Title are still overwhelmed by its great success at this year’s Vogue Salon. 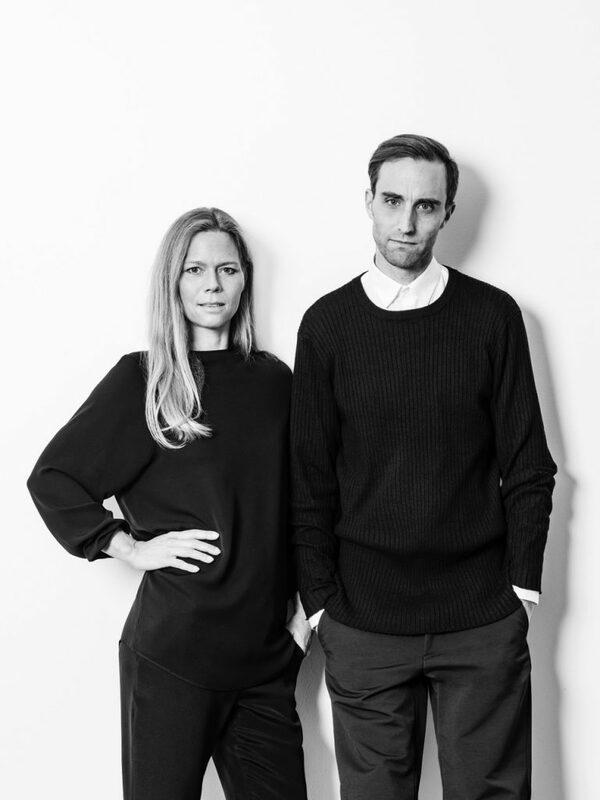 For renowned designer Antonia Goy and her partner architect Björn Kubeja, who recently also became involved in stylistic affairs, founding the label was a logical consequence after 12 years of cooperation. 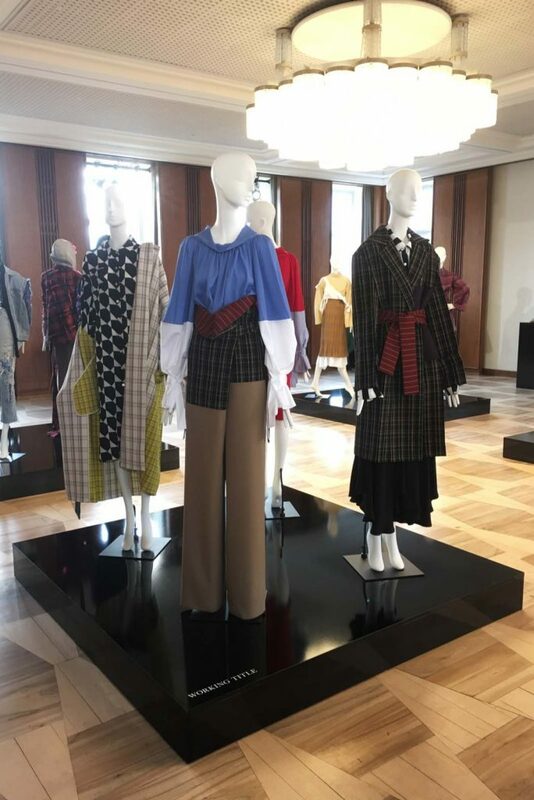 Their collections, a mix of high-quality tailoring in the field of haute couture with avant-garde elements, applications, trains or prints, are thereby produced completely sustainably. 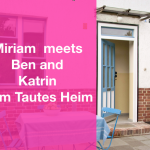 Miriam Bers met the designers for an exclusive interview on behalf of a studio visit. MB: Why a mix of haute couture, avant-garde elements and Minimalism? WT: Our work is significantly influenced by the artistic orientation of the art colleges we have studies at. 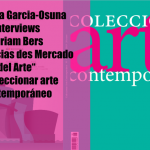 Le Corbusier, Mies van der Rohe, Bauhaus, art, culture and design history. From the Old Masters to the Modern Age, there is a variety of forms, colors, moods and concepts we pick elements from to develop our very own style. 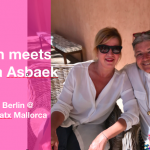 We both share the love for omitting, clear forms and exciting details: Antonia came in contact with the collections of Jil Sander in the press office Karla Otto. Björn is a huge fan of Rem Koolhaas, Tadao Ando and the Japanese architectural duo Sanaa. MB: Your style summarized in three sentences..? WT: Minimal down-to-earth luxury for modern self-confident women. Casualness and elegance in a cool contemporary mix. Completely free of polyester and made of sustainable honest materials! MB: Which era inspires you the most (design, architecture, art)? WT: Most of all we are inspired by Classical Modernism and the Renaissance. But basically we are open to everything because we are surrounded by so many inspiring things. MB: Which was the last movie you have watched in the cinema? MB: How does your apartment look like, what kind of furniture do you prefer? WT: Our apartment is rather modern and minimalist. A mélange of old and new, inherited and found pieces. A combination of objects we like, not following a particular style. WT: The path along the river Havel beneath the Grunewald tower. WT: No matter when we come home, we cook something delicious – that’s part of our recreation. WT: Spaghetti Carbonara with courgette julienne instead of bacon. Boil the spaghetti al dente, chop the courgette and roast it gently in olive oil and garlic. Whisk eggs, cream, parmesan and fresh pepper and combine everything in a warmed ceramic bowl. Voilà!